Freshly glazed cute packs of 8, 6 or 4 marrons glaces or our Special 8 pack Wooden Gift Box. Now available in new 24 marrons glaces bulk packs, great for sharing. 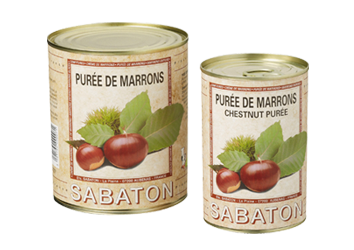 Our Marrons glacés are made in collaboration with Sabaton, France. We met Christophe Sabaton in Aubenas in 2010. Rather than import them directly, he taught us how to glaze the chestnuts ourselves so that they can be sold super fresh. 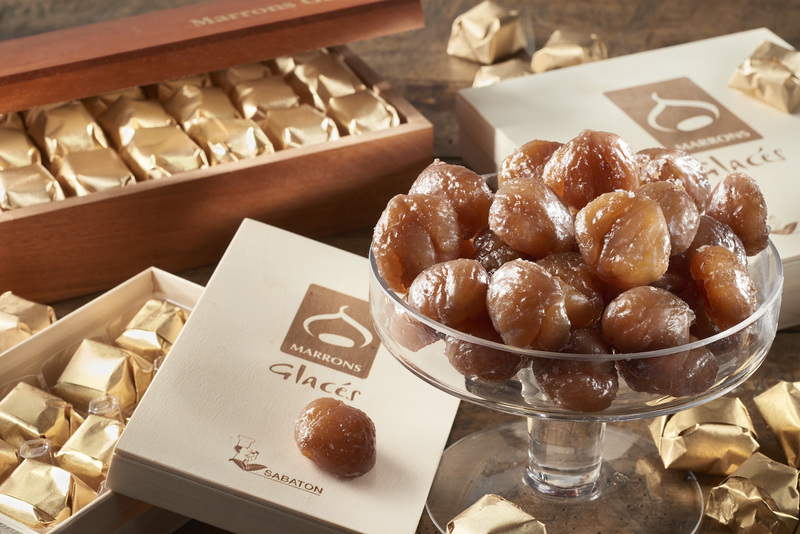 Marrons Glaces are best eaten fresh. 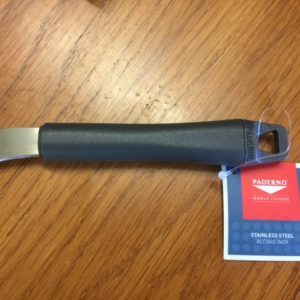 We only supply via mail order – not to stores because we only glaze them to order. This means you get them within days of glazing – super fresh and luscious – just how they should be. The glacés are available in cute boxed packs of either 4, 6 or 8 and now we have a bulk box with 24.. 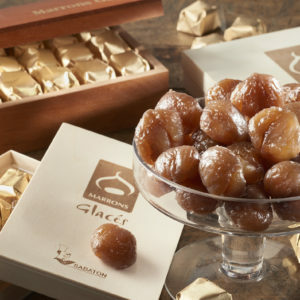 I love marrons glace and have had them in Europe many times. I was surprised just how good these were, Creamy texture and freshly iced, they were absolutely delicious! Absolutely delicious. Just like the ones in Europe. I received my parcel this morning – am so glad I ordered an extra box. just wonderful yummy test. I knew it because I bought loved so very much. I always order my chestnuts from this company as they are the best. 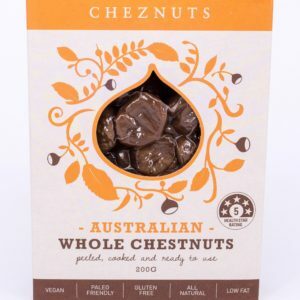 I’m Italian and we love chestbuts and I grew up with my parents roasting them and also in brandy and if we were very good we’d get the glacé chestnuts. I always buy a few packets of the glacé ones as they get eaten pretty quickly in our house usually just by me! 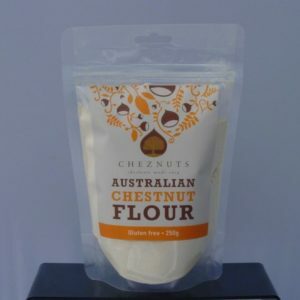 This is a good quality product, well done Cheznuts. Thanks so much for your feedback. It’s a great compliment for us to know how much you enjoyed our products – thank you!